As experts in all facets of site development, we provide a variety of services to our clients. Whether you need us for excavating, installing or repairing underground utilities or complete site development, our work is always expertly managed and executed by our highly qualified supervisors. 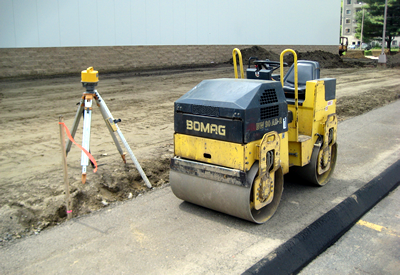 We have worked extensively with roadwork asphalt projects and we have done a lot of work with specialized concrete projects. 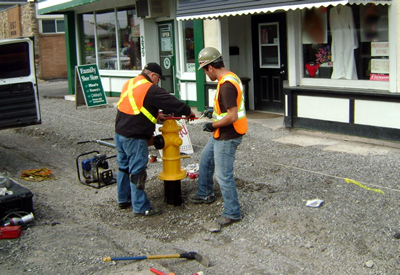 Another specialized area which we have worked in is fire hydrant installation and underground fire protection. We are a versatile company and we are confident that we are able to answer all your needs. If you want more information about these or any other services that we offer we would be happy to answer any questions that you might have. 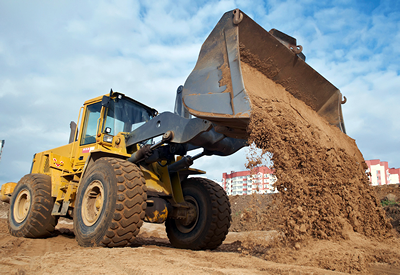 Keystone Excavators has been in the site-work business since 1984. We have established a reputation for quality workmanship while delivering projects that are on-time and within budget. We look forward to adding you to our list of satisfied clients and successful projects. We take great pride in our projects and will use our expert knowledge to build a beautiful project for you. Our knowledgeable and experienced project managers provide our clients with projects completed on time, within budget and of the highest quality. Our well-trained and dedicated workforce ensures the utmost level of productivity for all jobs large and small. 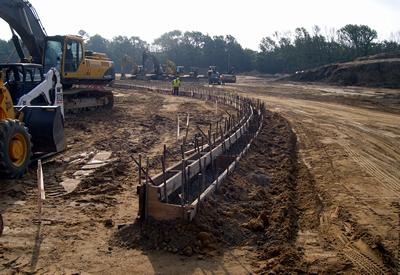 Whatever your earthwork needs are; trust them to our team of professionals and see the excellent quality in your project. Underground utilities complement excavating and grading extremely well and are an important part of our business. Having new construction services done, including installation or repair to an existing utility line, means the company you hire should have the capabilities to service any of your storm drain, water main and sanitary sewer needs. Having one contractor responsible for the different construction needs results in better coordination and fewer scheduling problems for you. You want the ultimate in safety, both during the construction itself, and for the end product, and we are experts at delivering that for you. From the beginning of the project to the end of it we know you will be impressed by the high level of professionalism and the skill which we bring to the execution of the job. For years we have been providing our customers with exactly what they need in a time and manner which makes us the optimum choice for any job. Our clients would happily attest to the excellence of our road work. Keystone Excavators can complete your sidewalk, curbs or specialized concrete project on time and on budget. Concrete is an extremely versatile medium in which to work, and our experience and expertise allows us to provide you with whatever kind of structure you require. Expertly executed projects with high quality results are what we are known for. Our work really sets us apart from our competitors and our excellent service at every level of our organization. This means our customers are satisfied not only with the end product but their experience of working with us. We insure our client satisfaction for the entire duration of the project. When you are installing equipment which is going to save someone’s life you want it to be done by a company that you know you can trust. 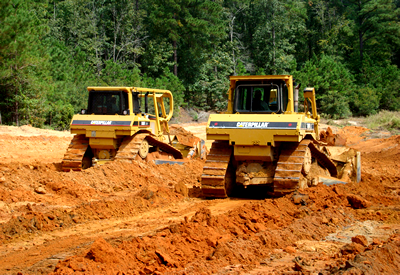 When you use Keystone Excavators you are dealing with a company that has a great reputation and has extensive experience providing underground fire protection for various groups. Our high standards speak for themselves. If you have any questions about requirements for your construction, please contact us.